Following on from our blog post on how to get prepared for GDPR we’ve decided to turn advice into action. We’re going to be holding a free workshop in conjunction with the Birmingham Innovation Engine Project. 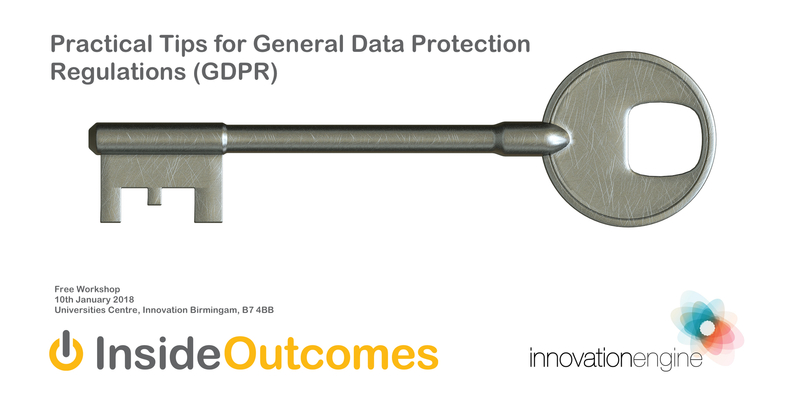 Recognising that there are a lot of people out there creating an industry out of the fear around GDPR we decided to take a practical approach to things that you can do to get your business ready for GDPR. You can find extensive information on what GDPR means to you on the Information Commissioner’s Office website. We’re not going to ask you to give up your valuable time to just go through stuff you can read on the Internet. This workshop will focus on practical things you can do now to prepare for when the regulations come in. These three areas are the core of how you prepare for GDPR. You can register for the event on Eventbrite or register below.